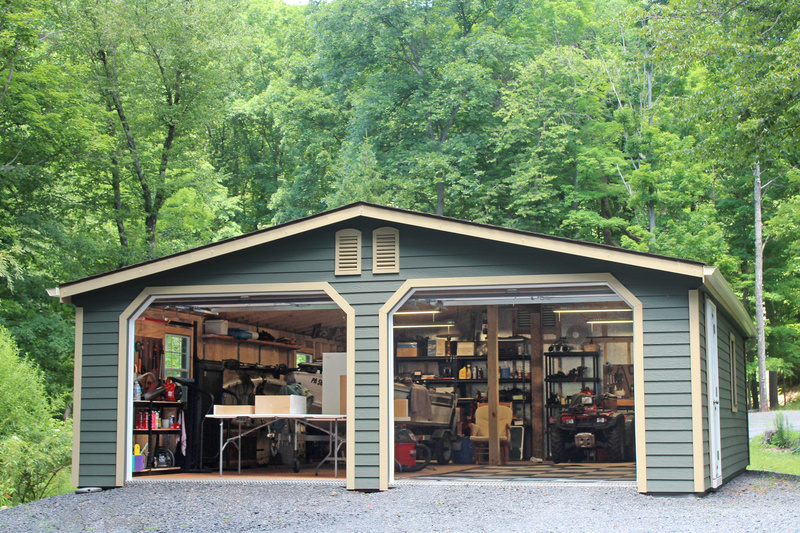 Do you find your garage becoming filled with anything and everything … except your vehicles? 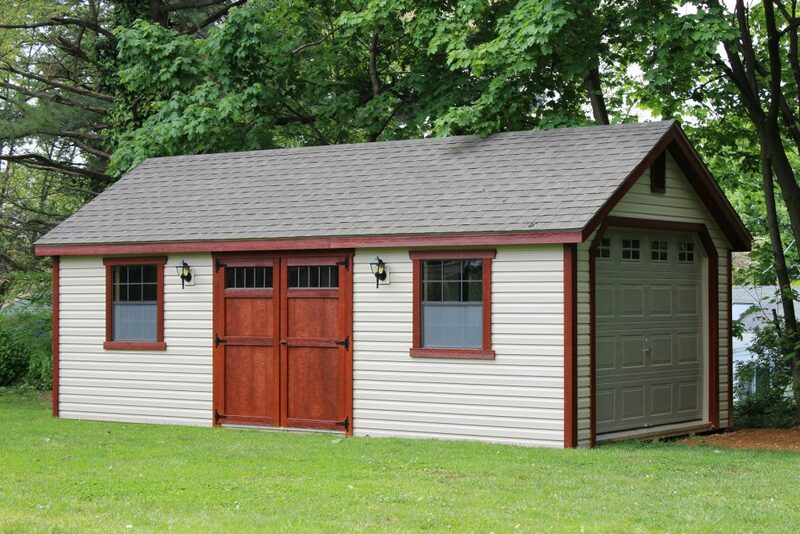 Let one of our one-story garages come to the rescue. 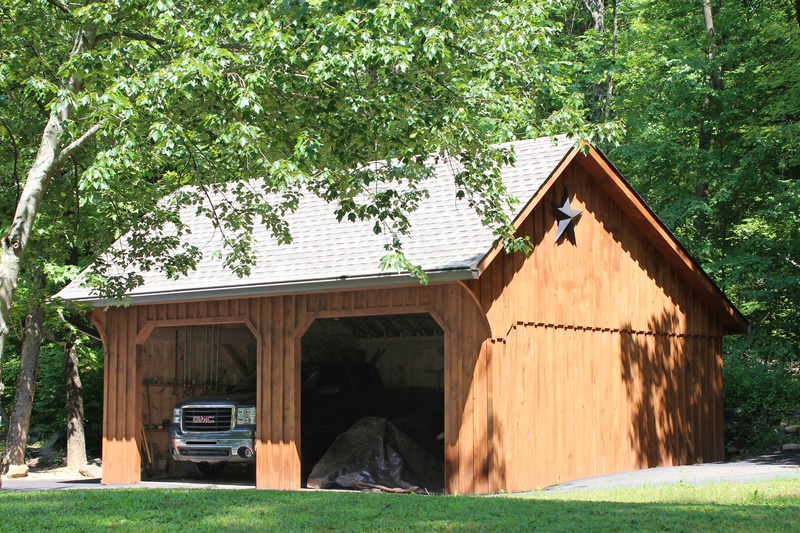 Whether you choose to park your vehicles inside, or use it for the mower, ATVs or other large equipment, our one-story garage will do a great job of keeping your stuff safe and dry. 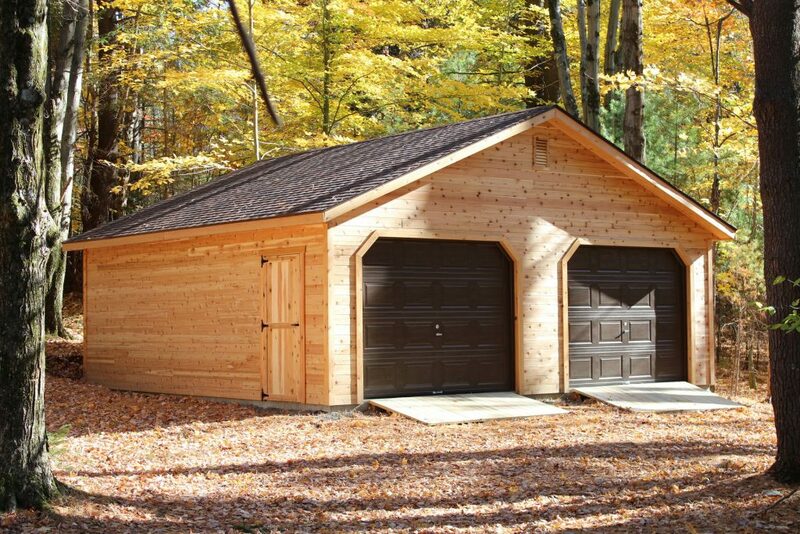 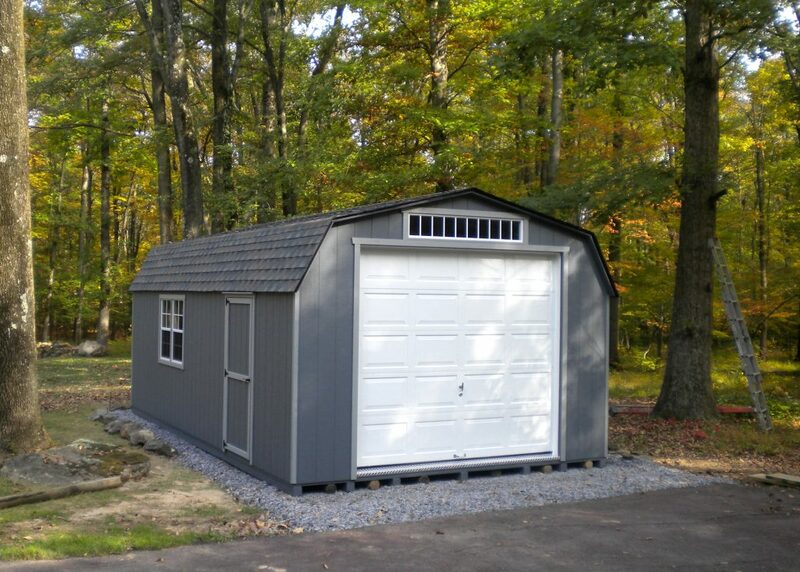 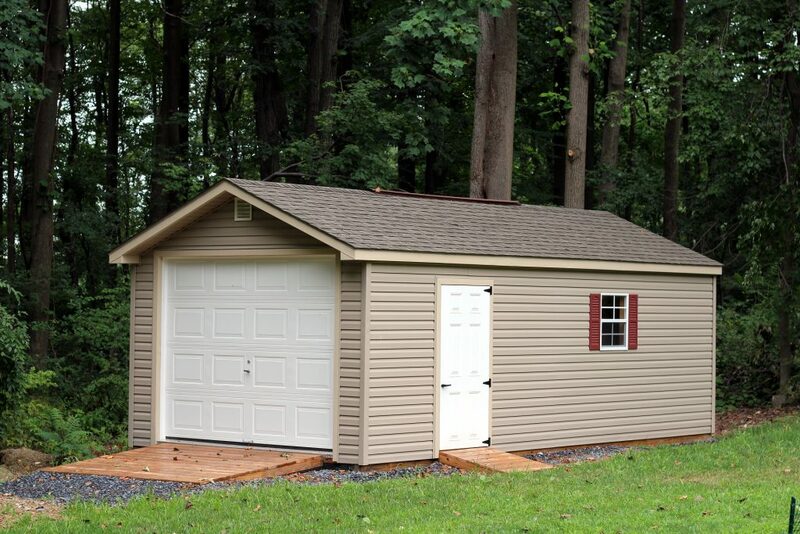 We offer our one-story garages in a variety of shapes and styles to meet any need. 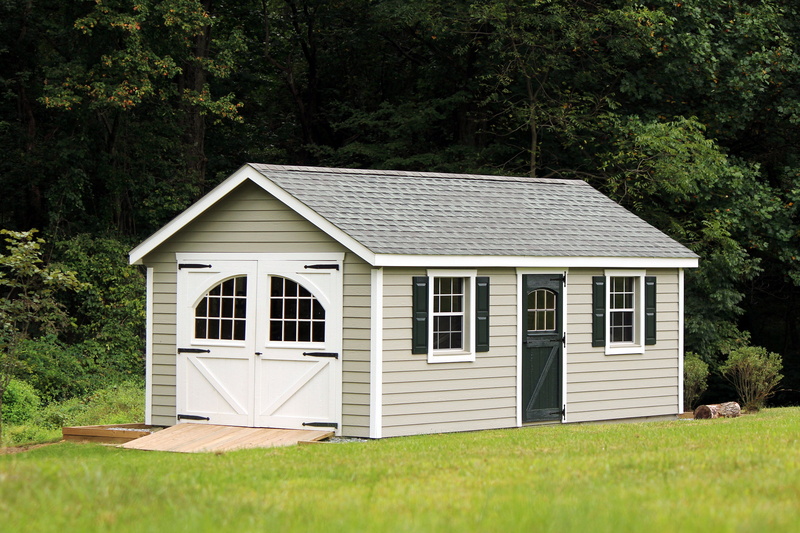 One-car garages come in A-frame, high barn and garden shed styles to match your home. If you’re looking for something a bit larger, opt for a double-wide garage.